This is the area where all the forms and assets used in your project get shown. It’s from here that you open them up for editing, whether that be the graphical side or the source code. 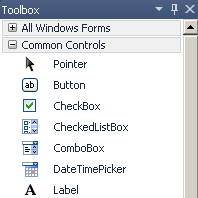 Visual Basic.NET allows you to draw interactive objects onto your program forms easily through this window. You will probably find this a very familiar way of drawing/creating objects. 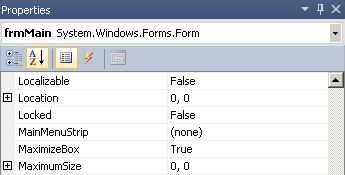 When you draw objects onto your form, those objects can often be edited (colour, font, size, etc) and those things can be changed here in the Properties window. This section tells you about anything that might be wrong with your program. 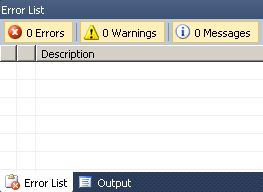 VB.NET is quite good at recognising when something you’ve done isn’t quite what it expects. This section allows you to change options of your project as a whole. It is also where you can tell the program to compile, run or export it as a stand alone program. And so over the course of this tutorial you will learn how to master each of those sections. They are not important in the scheme of programming, some programming languages don’t have an IDE at all, but in order to forge forward in VB.NET we will need to begin to understand all those features above. So now it’s time to start building a program.